Homeowners struggling to sell their homes via the short sale process are getting relief with a new government program. 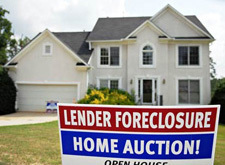 The Home Affordable Foreclosure Alternative (HAFA) is a government program that streamlines the short sale process and incentivizes the borrower (home seller) and lenders to work together to avoid foreclosure. The program originated in 2010 and was due to end December 31,2012 , but most recently has been extended to December 31, 2013. For struggling homeowners considering a short sale in lieu of foreclosure on their properties, time is of the essence to take advantage of this program. Homeowners enrolled in the HAFA program benefit from a waiver of the deficiency on the short fall difference and can receive up to $3000 for relocating purposes. Specific guidelines and criteria must be met before the borrower can utilize this process. If you or someone you know is struggling with mortgage payments, loss of employment, divorce or financial difficulties, please pass this information on to them.